What is Our Government Coming To? As I listen to the wrangling of the federal and state politicians over the latest feud of the day, I become exhausted. Although I like to keep up with what’s going on in our world, and be an active part of my community and my state, I find I am often overloaded, and I have to turn off the radio, turn off the TV and take a break. However, there have always been politicians, history is full of political fighting and upheaval, and it will continue because it is the foundation of democracy that everyone gets a voice. So I must endure the endless political debate and rhetoric. Through it all, I turn to the philosophical question of the reason for government. I have come to one basic conclusion – government must be the enforcer of our social conscience. That social conscience, spelled out in the constitution and bill of rights, is often lost in our small and local battles over money. It then lies with the government – our legislators, to remember the social and moral tenets of America and Maine and our town, and step up to the plate and make decisions, not as Republicans or Democrats or Independents or Green Party, or whomever, but as keepers of America’s social and moral conscience. Looking back over history, our government is responsible for moving beyond bigotry to make sure slaves were freed, women got voting rights, and all races were equal. That is their job. Today, I am worried that our legislators may have lost sight of that responsibility. Particularly I am concerned that large and small money battles are being waged on the backs of older adults and adults with disabilities who have no recourse to change their lot in life. This entry was posted in Uncategorized on June 21, 2013 by SeniorsPlus. If We Don’t Do It Now, When Will We? If we don’t stop and really see, smell and feel the quintessential June day in Maine today, when will we? If we don’t take in the myriad shades of green as the world explodes in new growth, watch for the returning hummingbird and try to follow her to her nest (the size of a walnut shell), or revel in the smell of new-mown grass, when will we? Now is the time. One of the jobs of aging well is to enjoy well. It’s our job to stop and smell the roses. Before, we were too busy – taking care of children, climbing the corporate ladder, being Very Important. No longer. We’ve been there, done that. Our job now is to be overwhelmed at the beauty, creativity, the wonder of this world we live in. Each of us has a different wonder of nature that almost takes our breath away. 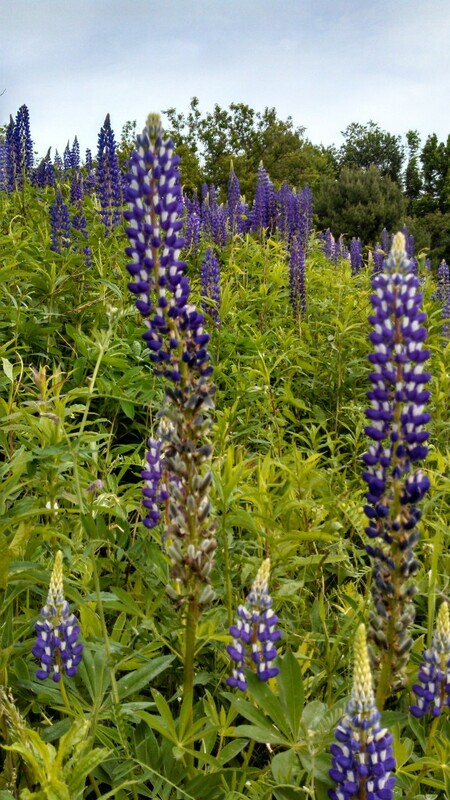 For me this year it was the lupines. Over the long winter I had forgotten about them. But just 2 days ago I saw those first lupines by the side of the road. I love the unexpectedness of them, the children’s story, Miss Rumphius, by Barbara Cooney, that immortalized them, the beauty that softens our hard concrete roadways. Now is the time to enjoy our spring and summer. If we don’t do it this year, we are smart enough to realize that we might not have another year to enjoy. It’s our job. Are you doing your job? Please tell me the wonder of spring that you’re enjoying. This entry was posted in Uncategorized on June 7, 2013 by SeniorsPlus.